Cholaca Partner Month: All things Grocery, Coffee and Beer! We are eager to inform that this month we will be introducing all of our awesome partners! We will be focusing on our many grocery/retail locations, as well as various local coffee and beer locations that have integrated our pure liquid cacao into some of their recipes. Additionally, we have just launched our new website where you can find out more information on where to buy our product in store and online. Check it out below! Cholaca is continuing to grow and is now available in four different states! Plus, did you know we are currently available in 30 Sprouts locations and 87 grocery stores total including WholeFoods, Natural Grocers, Lucky’s, and Alfalfas?! 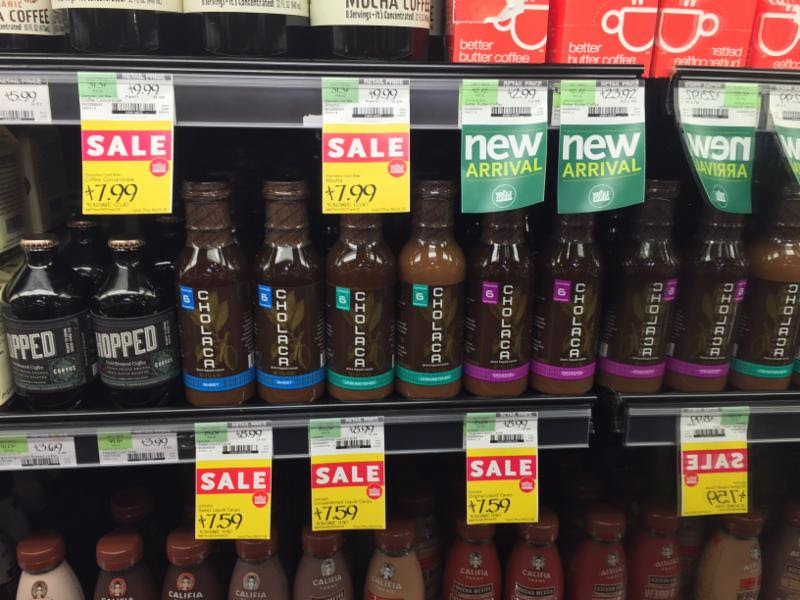 We want to give a special shout out to all of our grocery partners to thank them and let you know where you can buy our delicious liquid superfood at your closest convenience. Stay tuned via social media as we highlight specific grocers daily from September 5 – September 18. We have joined forces with multiple breweries and coffee houses to conduct new creations of Cholaca beverages. Catch the buzz on all of our social platforms to find out about our specialty Cholaca Coffee drinks (the espresso of chocolate) being sold at places like Ozo Coffee Company, Laughing Goat Coffee House, Teatulia Tea Bar and many more! Likewise, local breweries such as Oskar Blues, Fate, and Fort Collins Brewing Company are offering delicious Craft Chocolate Beers waiting to be tasted at a location near you!